A TCP exclusive, drawing students worldwide that wish to become proficient in multiple tree climbing skills and philosophies. An intense learning experience, this class is more like a tree climbing camp. 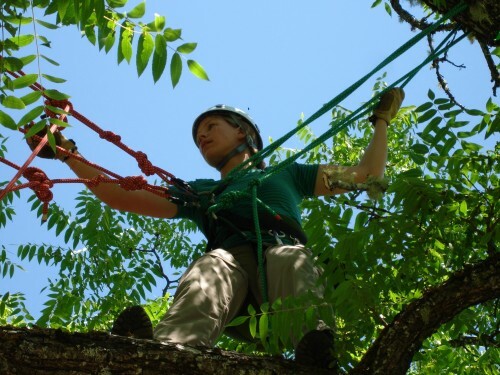 The five full day course allows time and space for the student to learn, understand, experience and begin to master the skills, all while gaining the confidence to go out and climb a tree on their own. 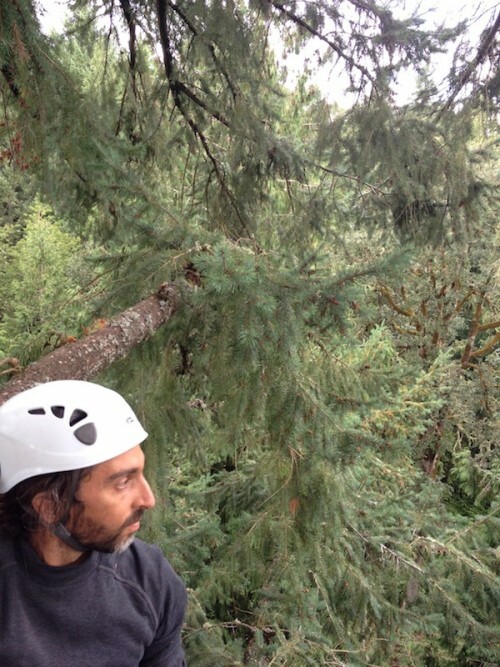 TCI famous Basic Tree Climbing Course taught to novice climbers worldwide. 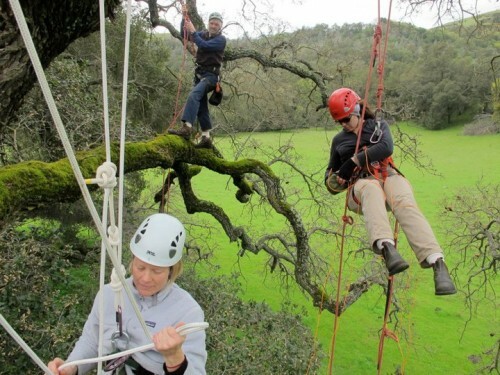 This course teaches the skills you need to climb a large tree on your own using Doubled Rope Technique (DRT). Information about selecting a good climbing tree and detecting potential hazards is presented in detail. 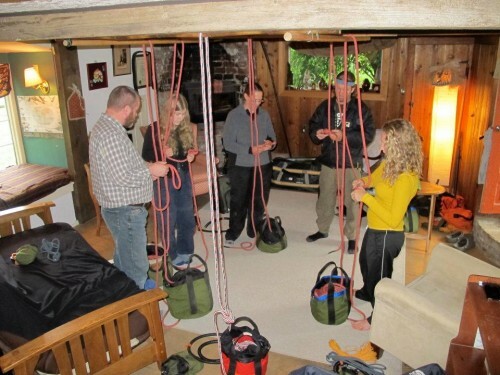 You will learn how to tie climbing knots, repeating each knot many times to learn “muscle memory.” You’ll learn safety rules, as well as how to respect and care for the trees you climb. 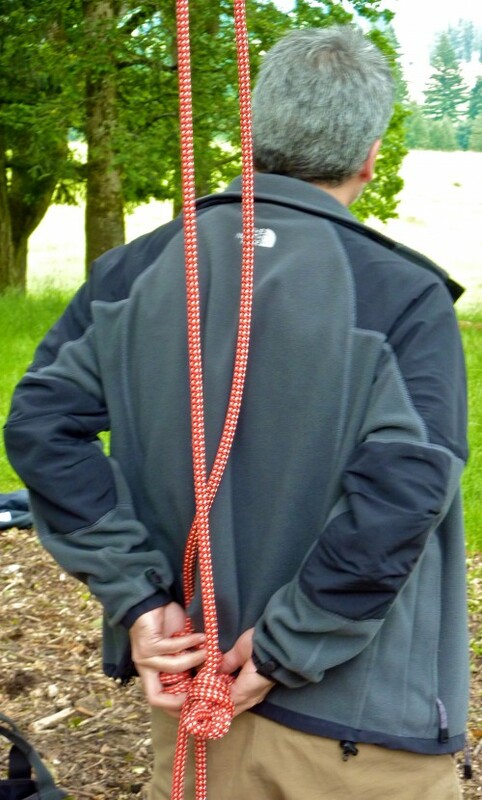 This day will focus on using motion lanyards, pulleys, additional hardware which makes tree climbing more efficient. 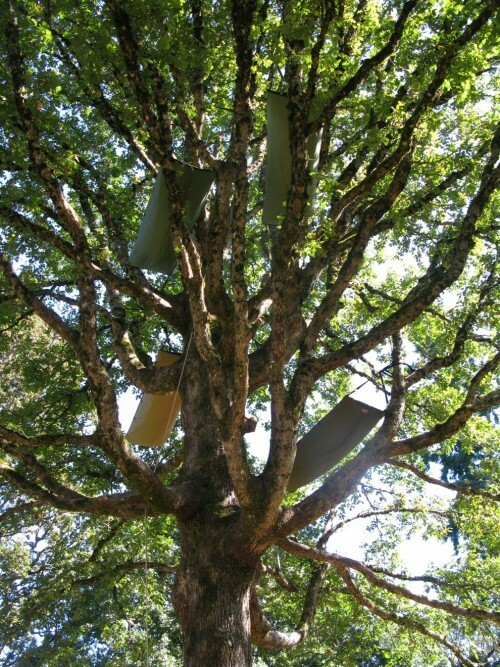 We will construct a tree top village with specially designed hammocks called Treeboats and sleep high in the trees – a highlight exclusively provided at TCP’s tree week course. 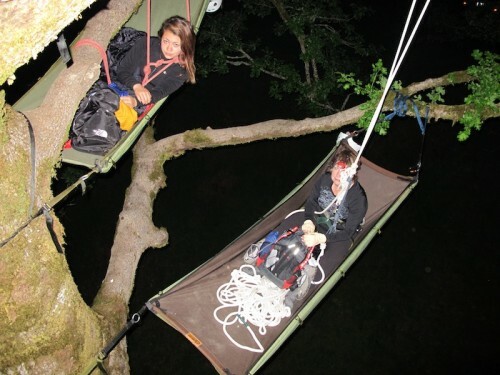 Advance techniques using specially designed equipment to make your ascent into the treetop more energy efficient. 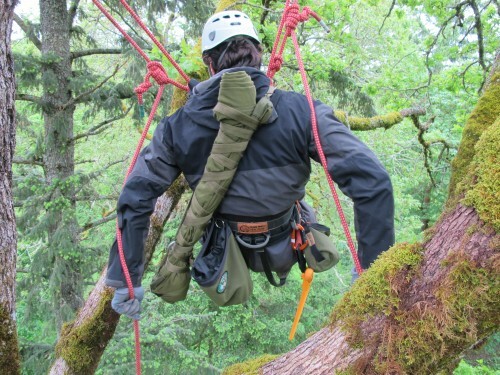 These skills are employed by canopy researchers to explore giant trees around the world. 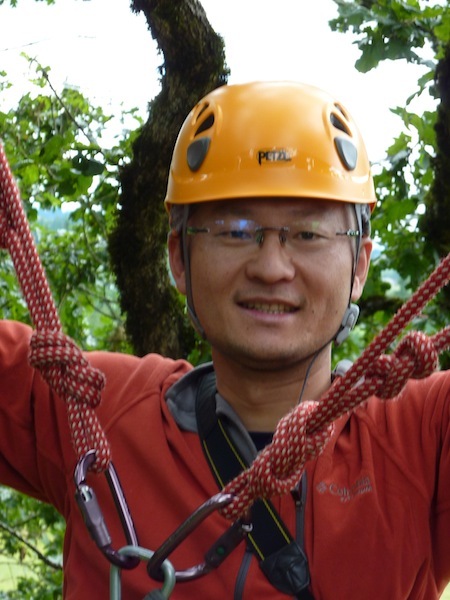 This day the student will scout out a wild tree (a tree which has never been climbed before) to climb solo. The instructor will be present only as a shadow to observe your methods and techniques.